One of our customers had a member of staff whose only responsibility was calling suppliers to confirm receipt of purchase orders, and verify delivery dates to the end user. PromoServe will pull through all of the required information from your Job Jacket Center - so you don't need to touch these processes at all. 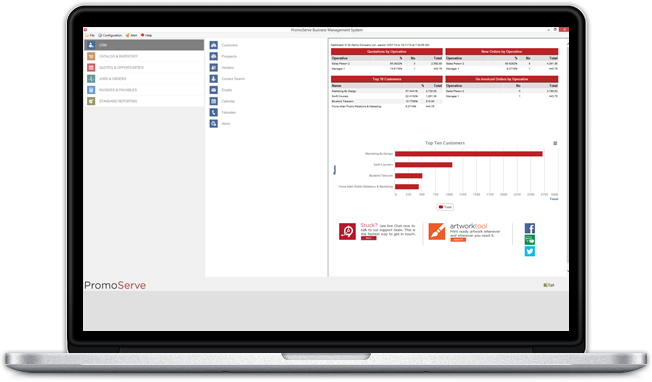 With over 300 standard reports available in PromoServe, plus unlimited custom reports, you can accurately measure your business performance and prevent bottlenecks before they happen. 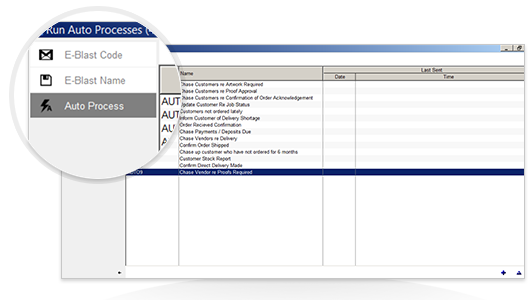 PromoServe's Auto Report/Export routine generates any report you choose on demand, and then emails it to the inbox of your choice. 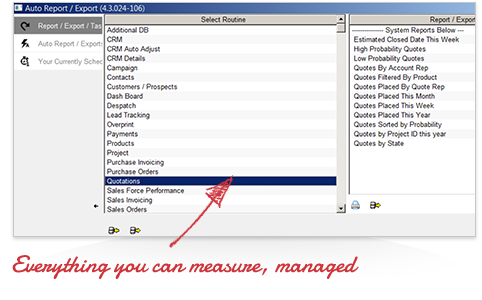 With the Auto Job Jacket Adjust routine, you can automate a huge amount of the order process. 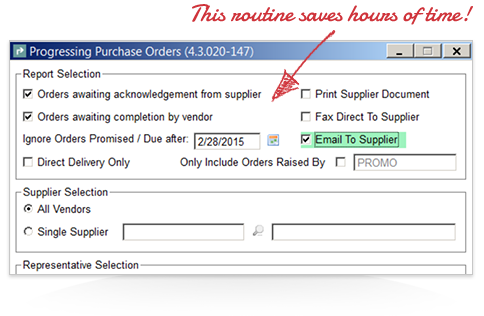 On receipt of an order, PromoServe can automatically raise and send the purchase orders to the suppliers. 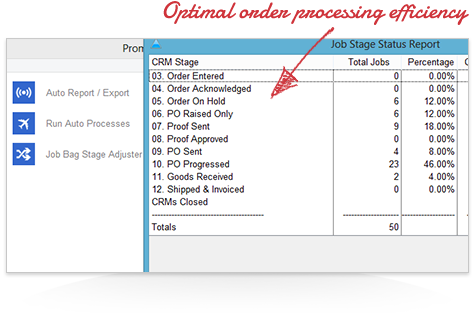 Once you've attached the customer's proof to the job jacket, PromoServe can automatically send them a copy with a proof approval form, and keep chasing them until the approval is received. This goes all the way to invoicing the client, and closing the Job Jacket - so you can grow without growing your overheads.